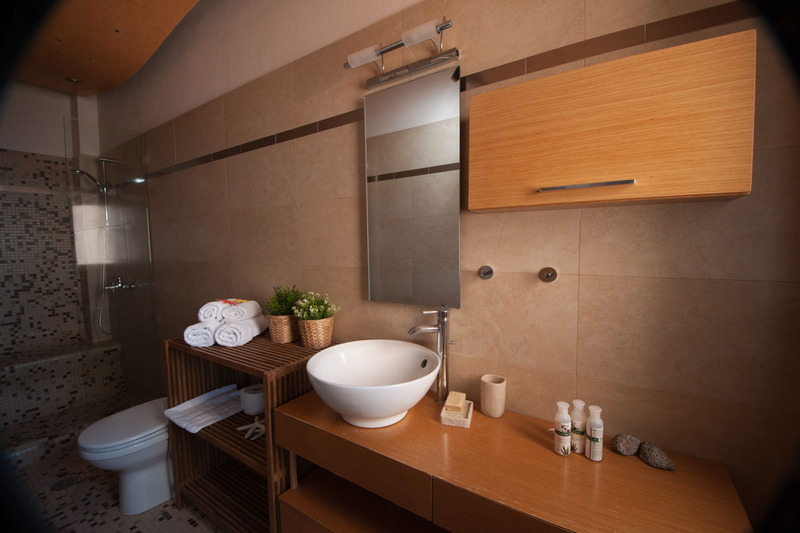 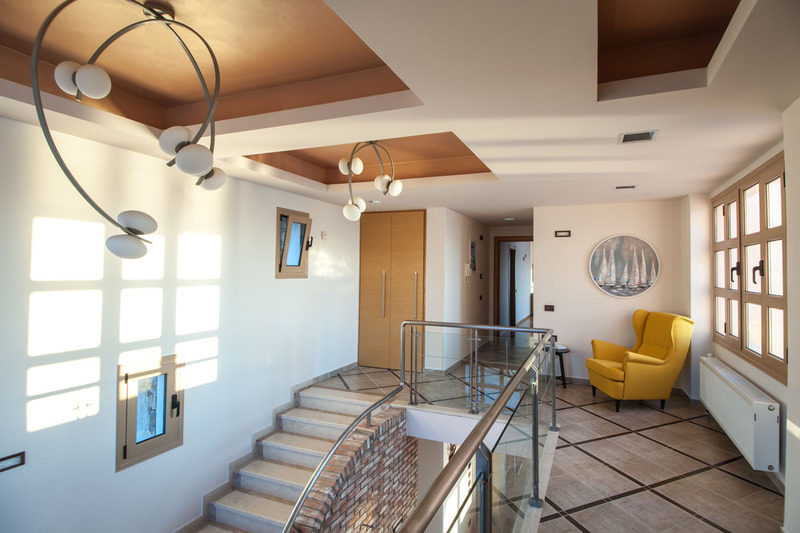 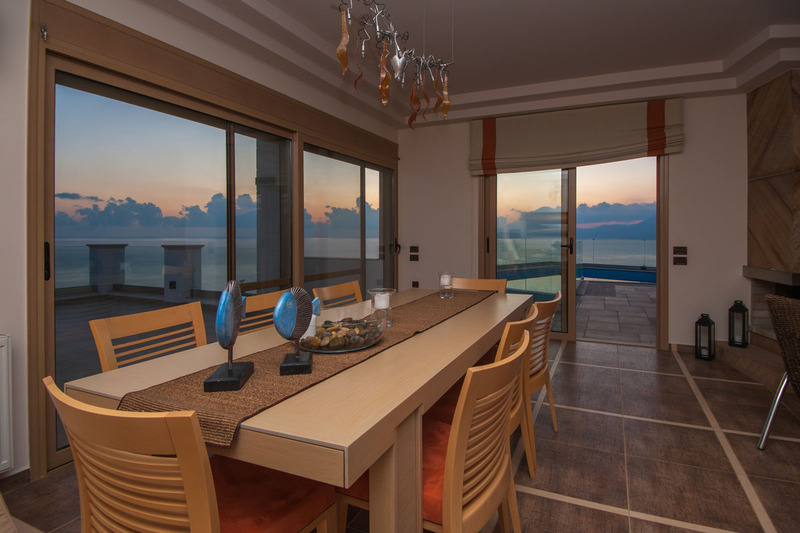 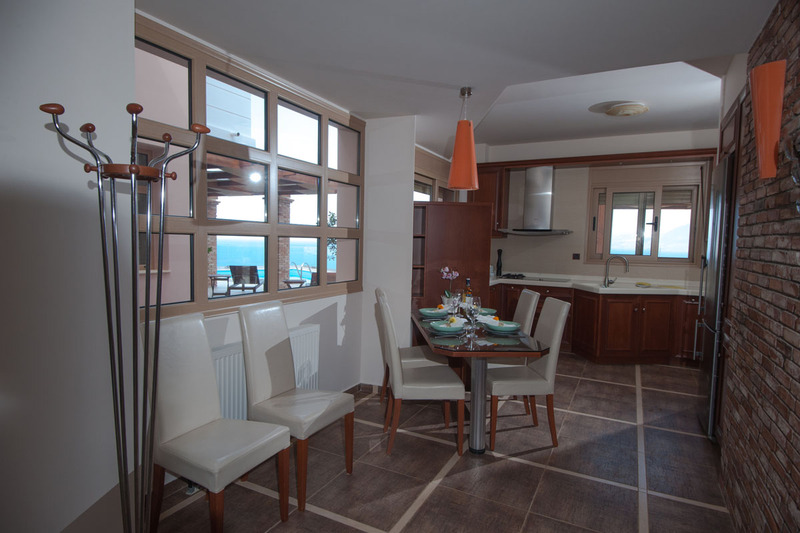 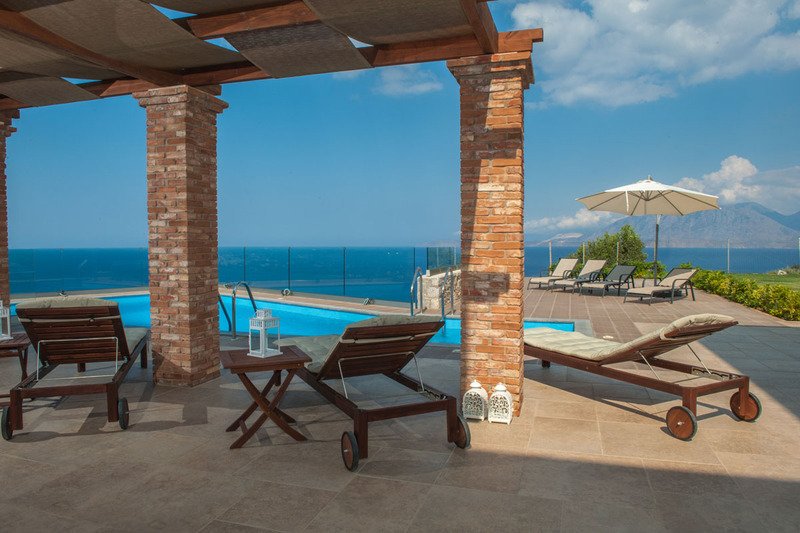 Infinity View villa has a 250sqm interior area and is built on two levels. 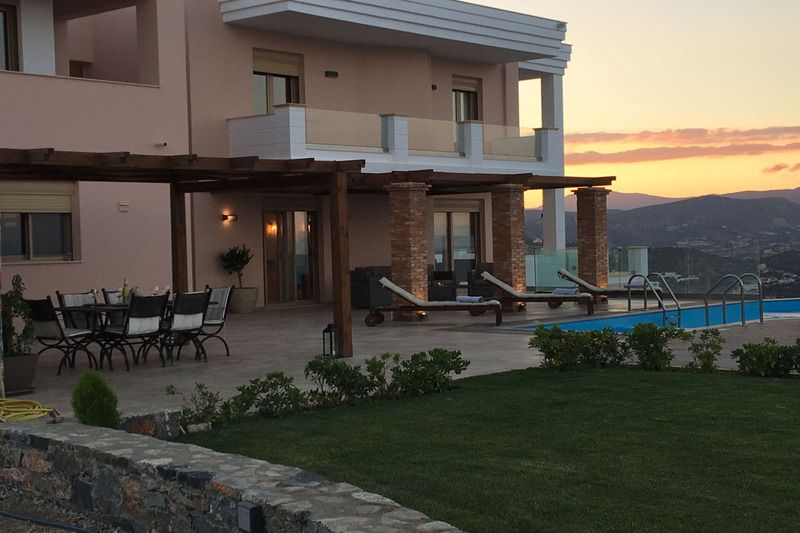 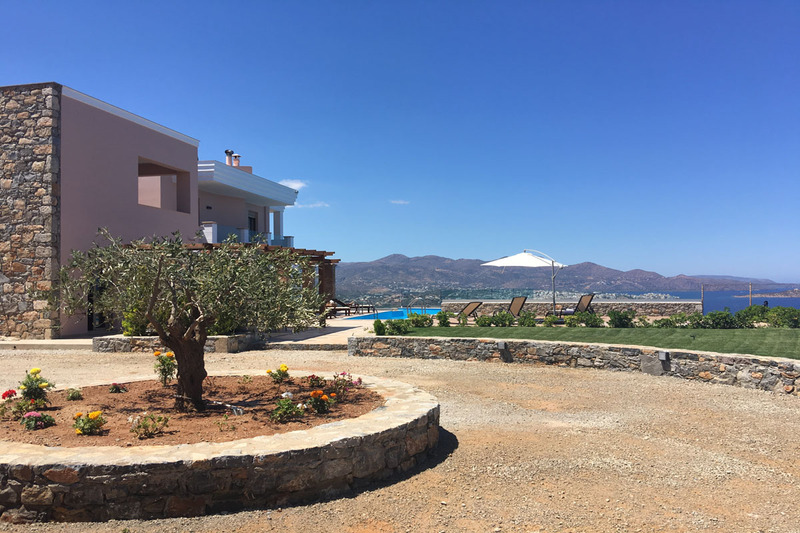 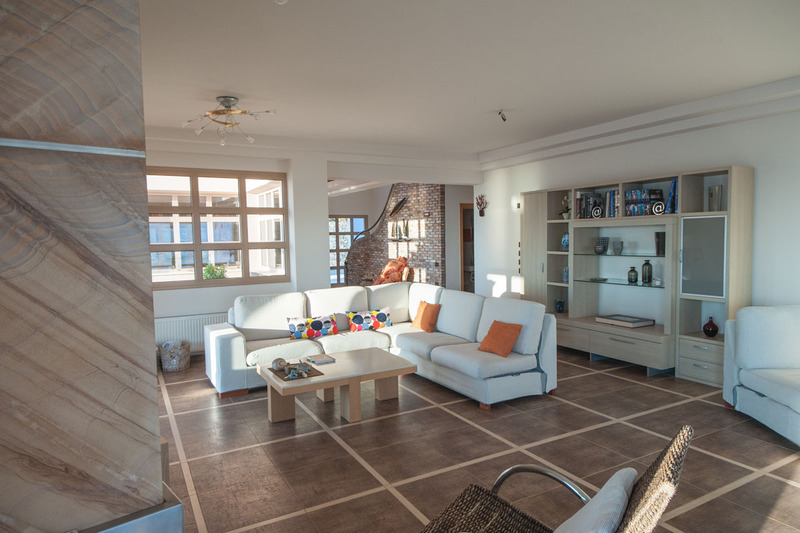 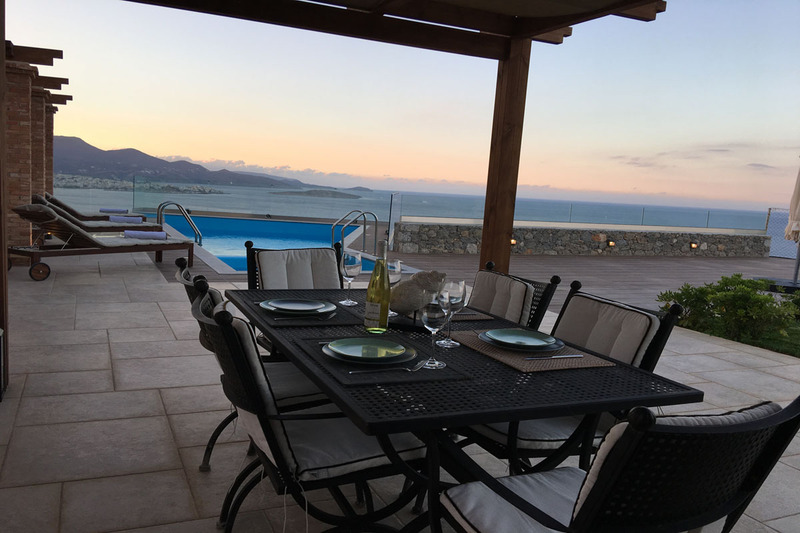 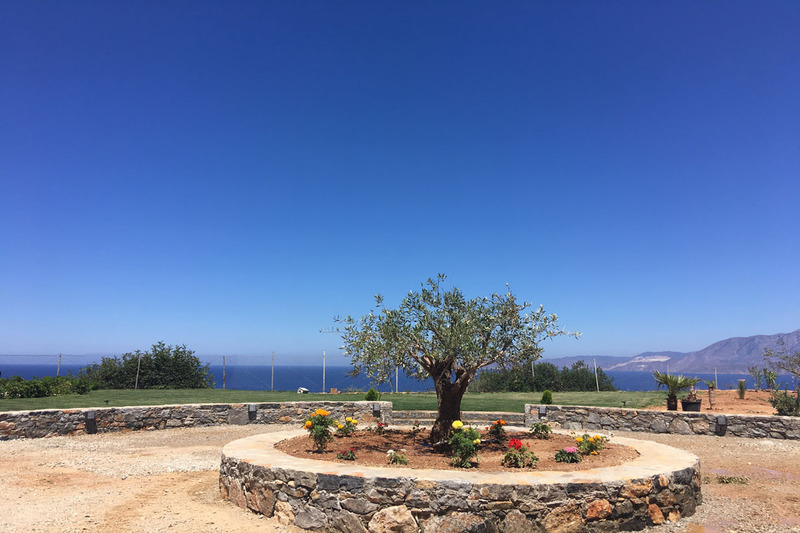 The ground floor consists of an open plan area with large openings that allow the sun in the house, overlook the pool and garden and offer stunning views to the Mirabello Bay, the islet of Agioi Pandes and the Sitia Mountains. 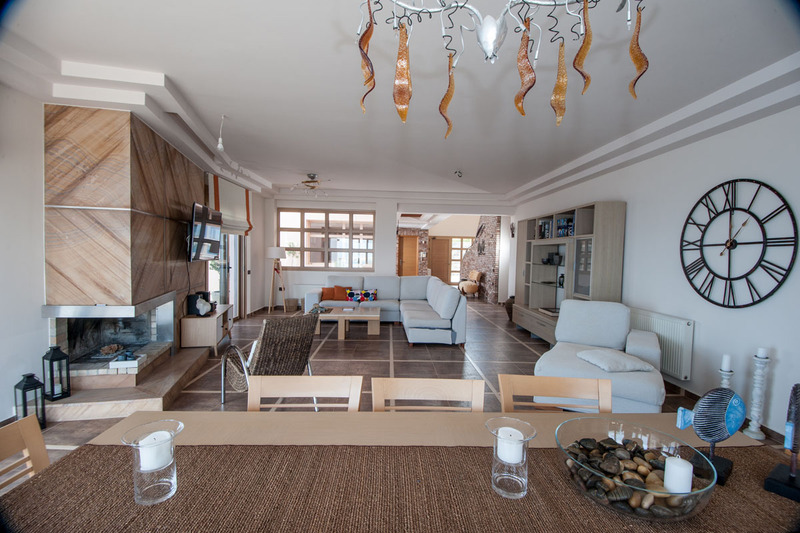 The living room has a fireplace, a sitting areas with comfortable sofas and a smart TV. 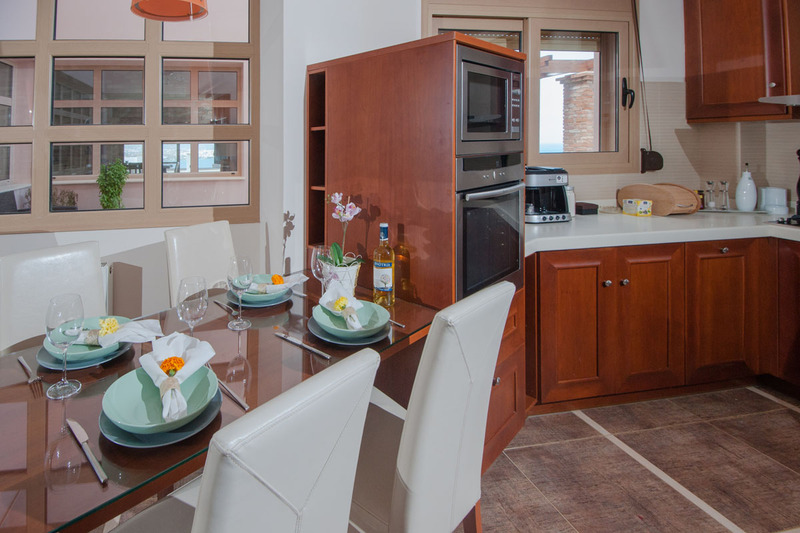 Right next is the dining area, a beautiful kitchen equipped with a range of modern appliances where you can prepare breakfast or dinner for your loved ones. 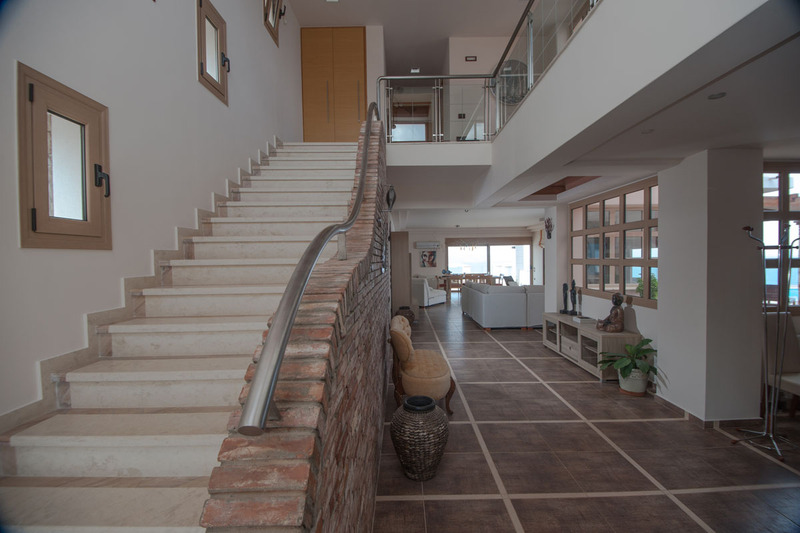 On the upper floor there are four bedrooms. 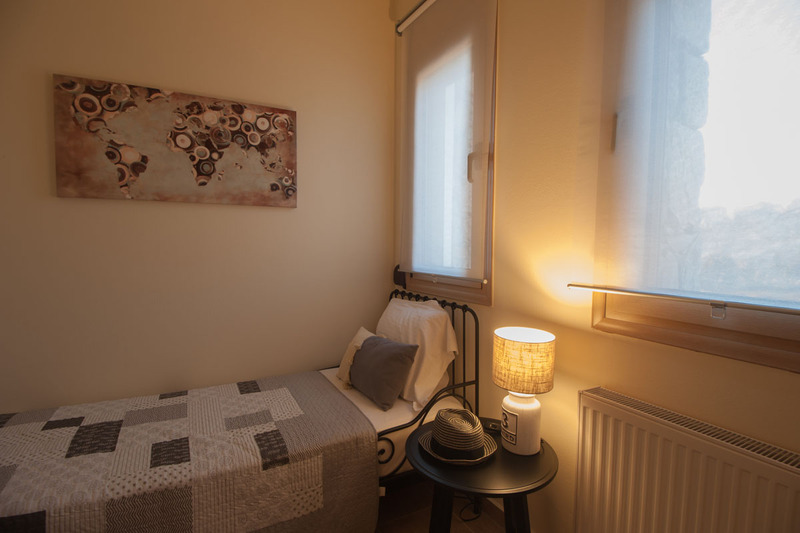 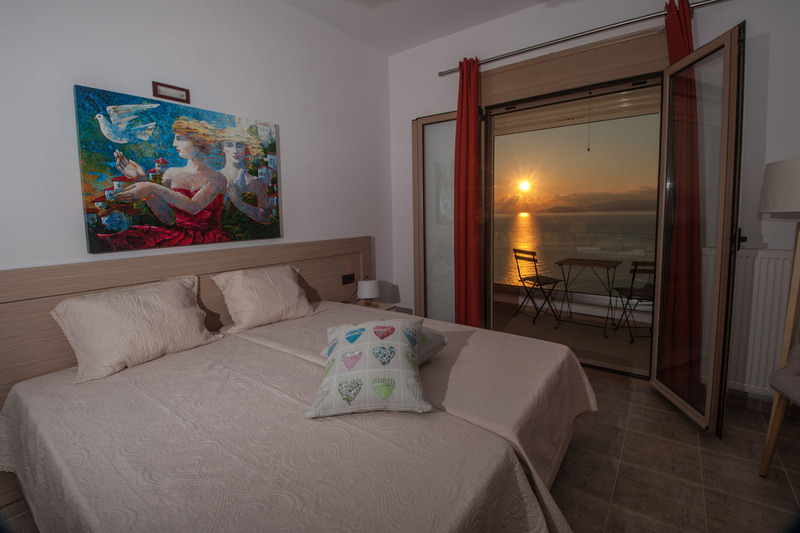 The master bedroom with a double bed has en-suite bathroom with a shower, the second bedroom has a double size bed, one has two twin beds and the fourth one has a single bed. 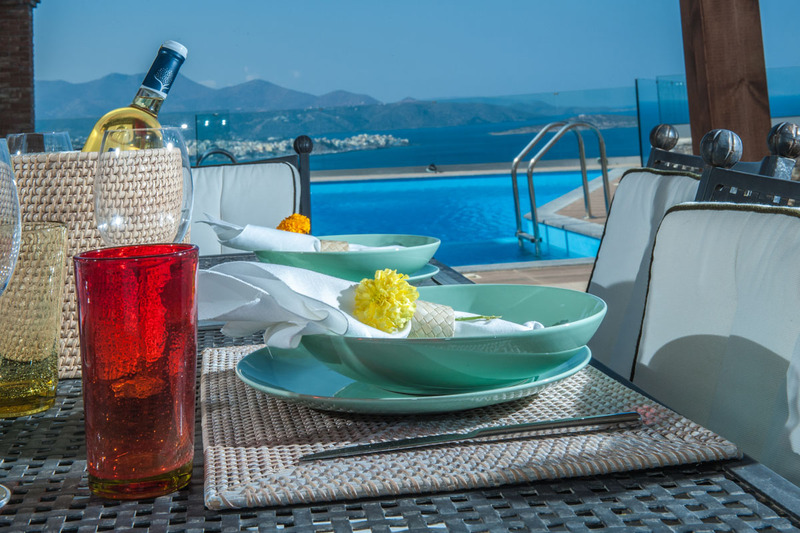 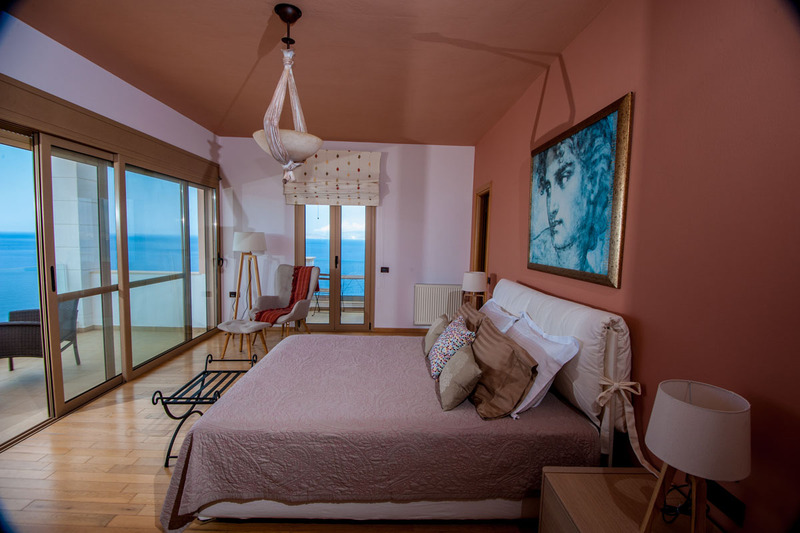 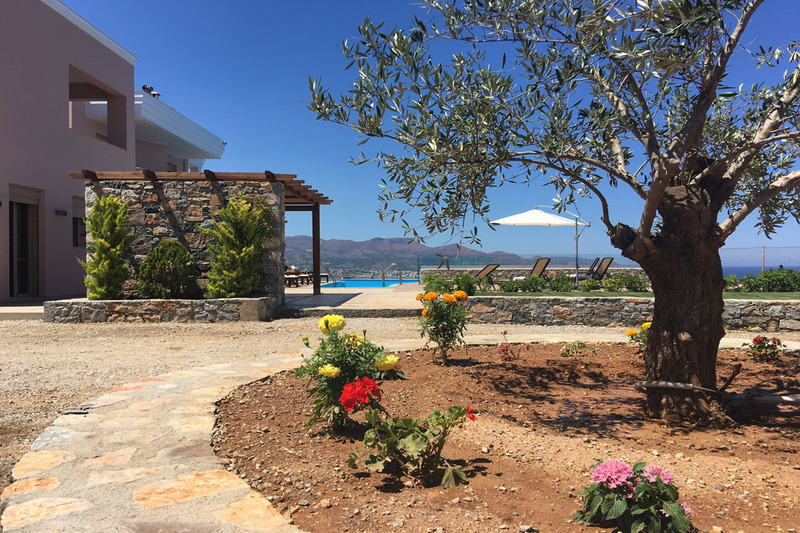 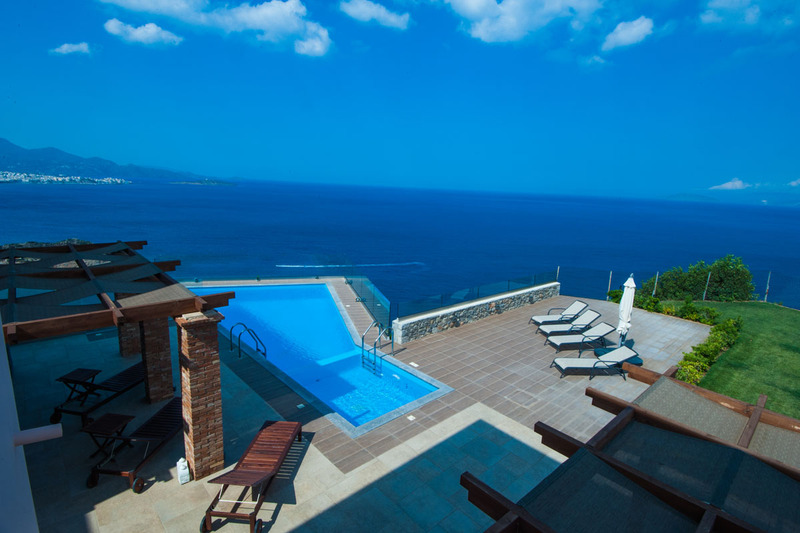 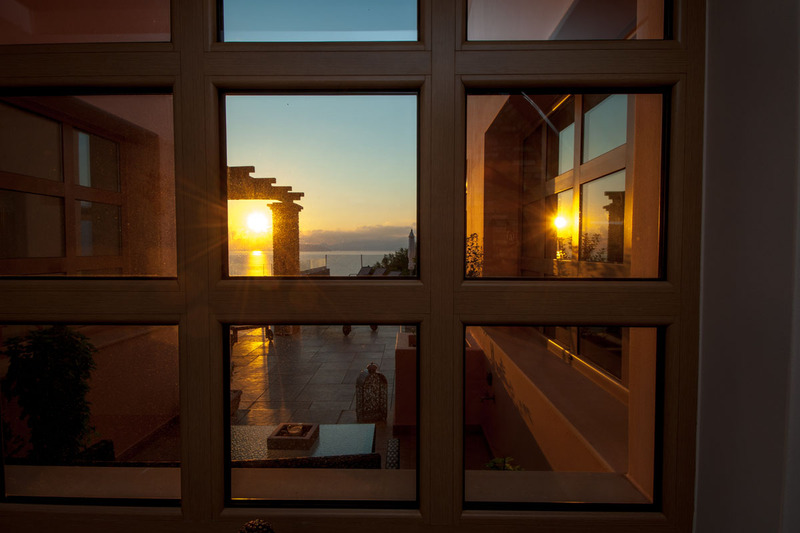 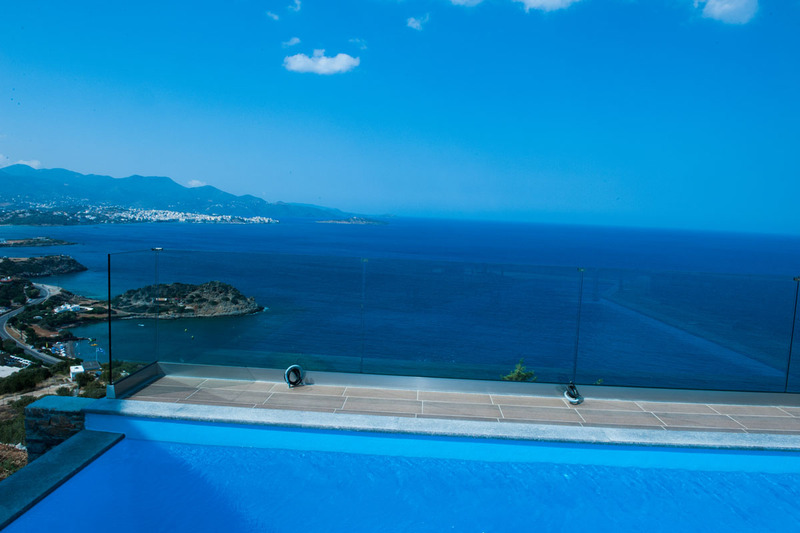 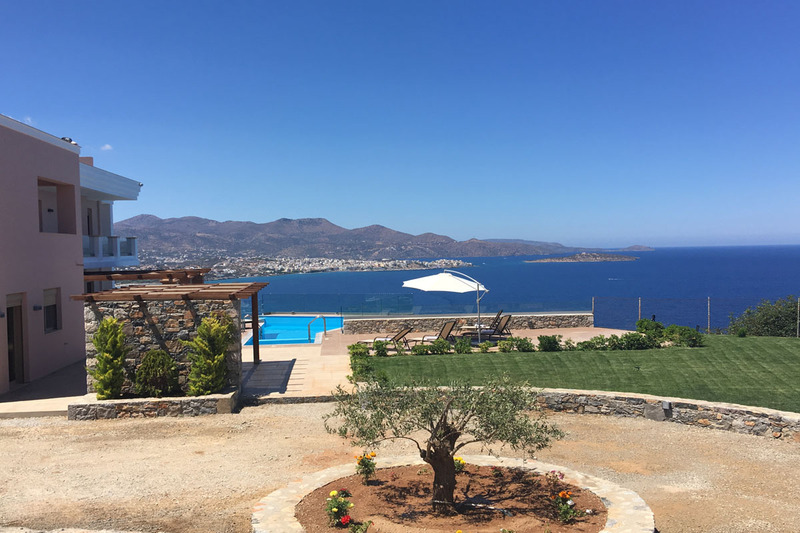 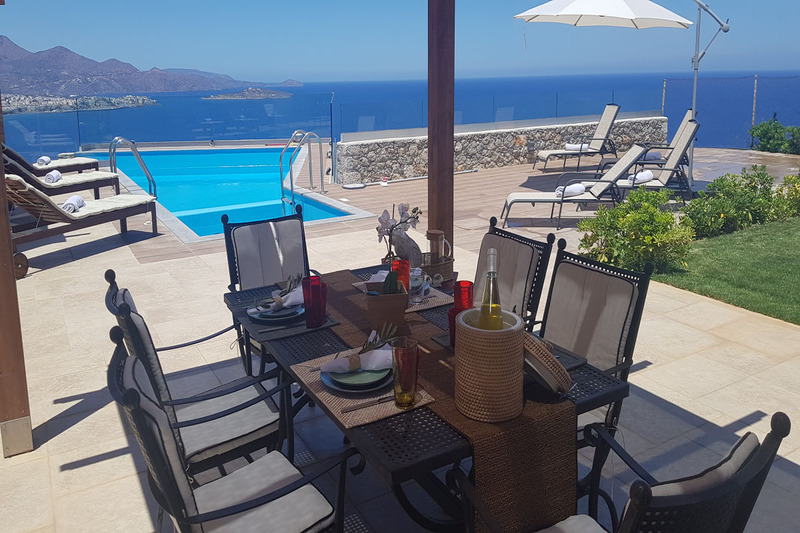 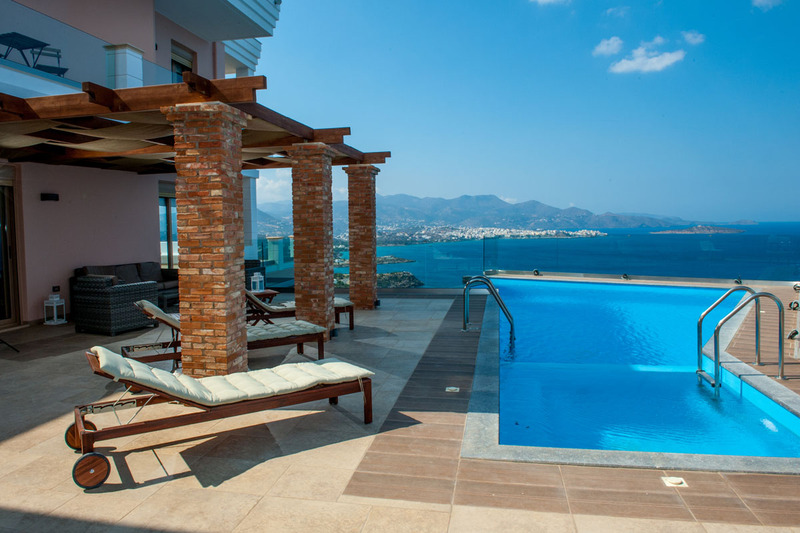 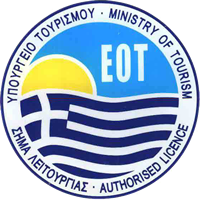 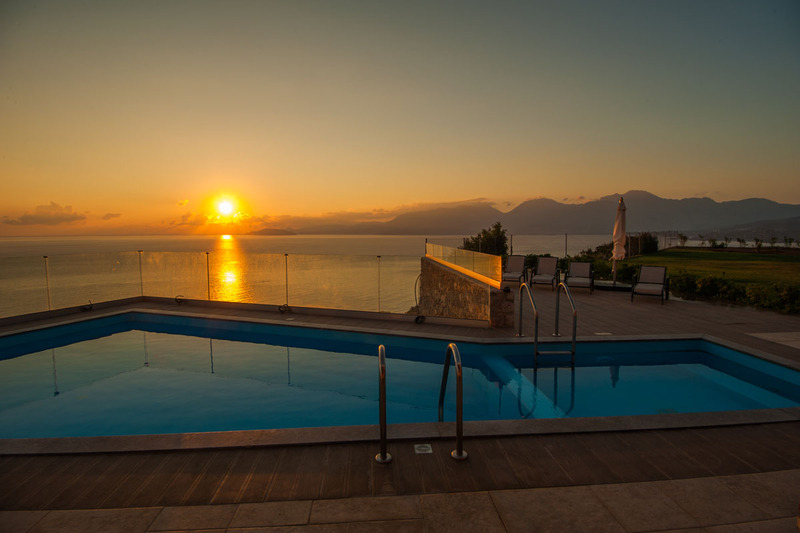 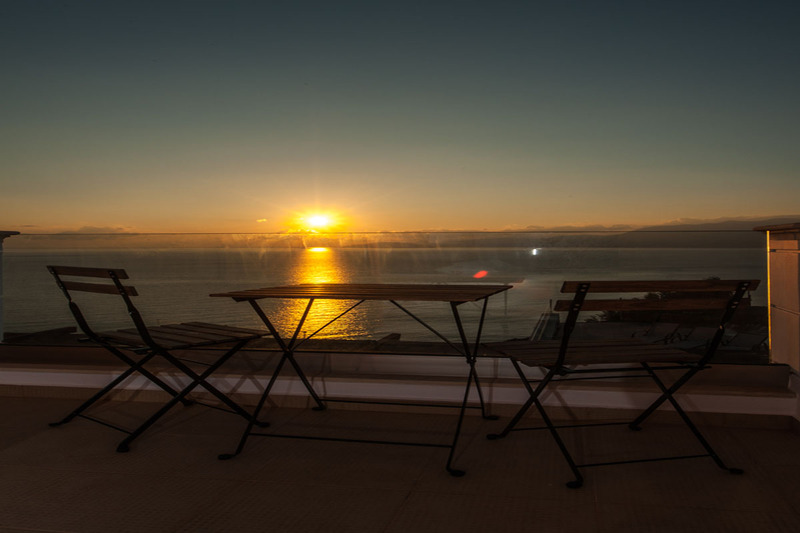 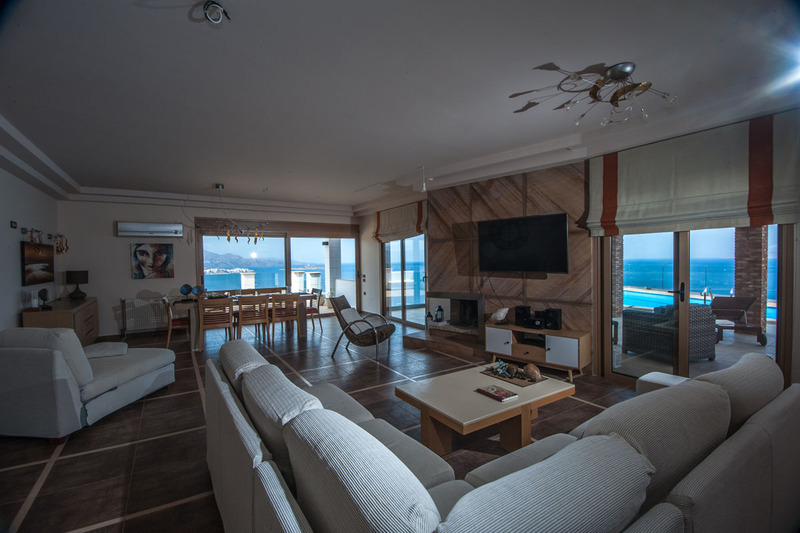 These rooms have access to a large veranda with amazing views to the sea and the Gulf of Agios Nikolaos. 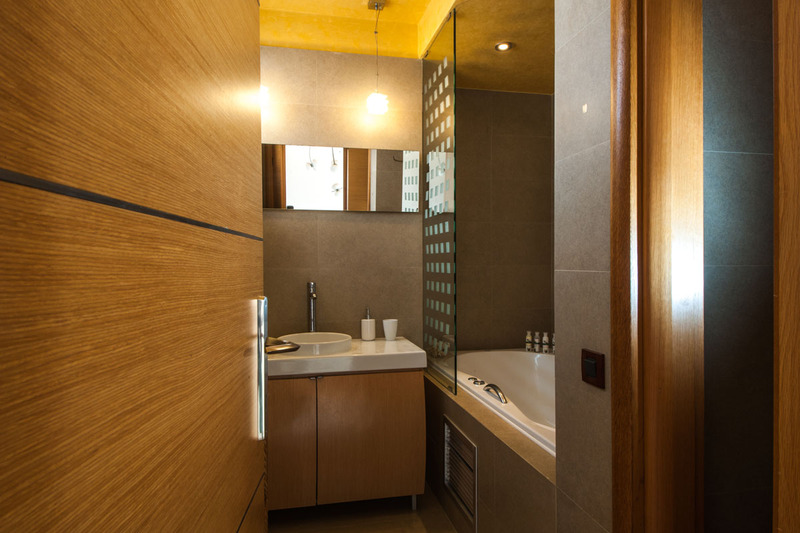 There is also a bathroom, with a Jacuzzi bathtub. 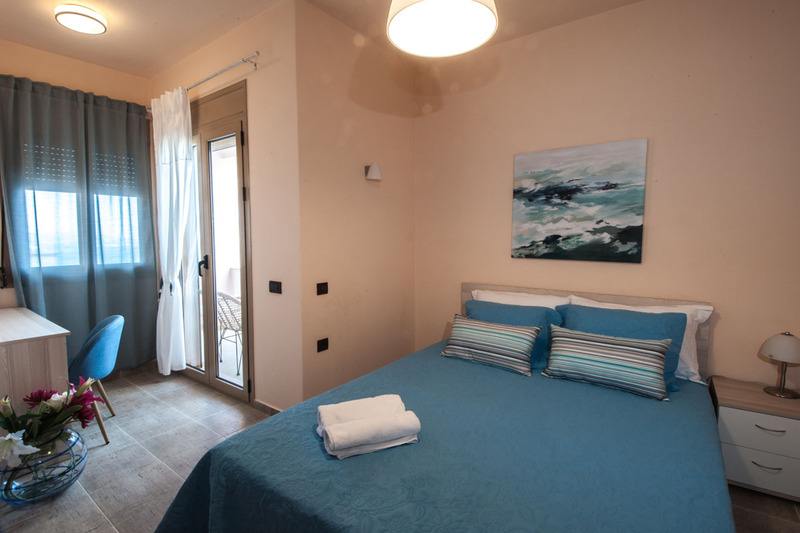 All of the rooms offer TVs and air conditioning. 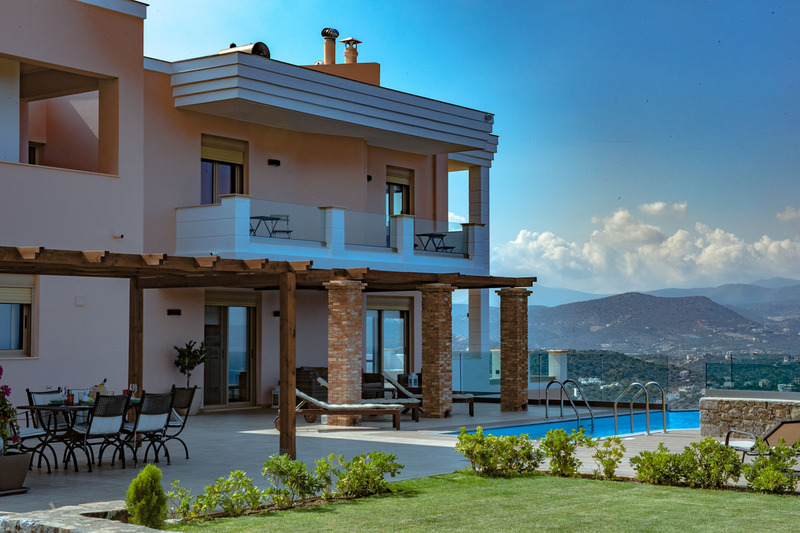 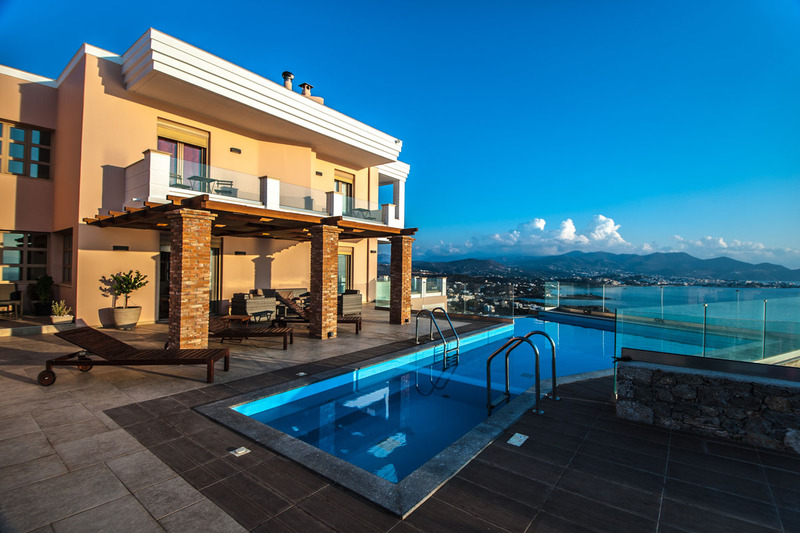 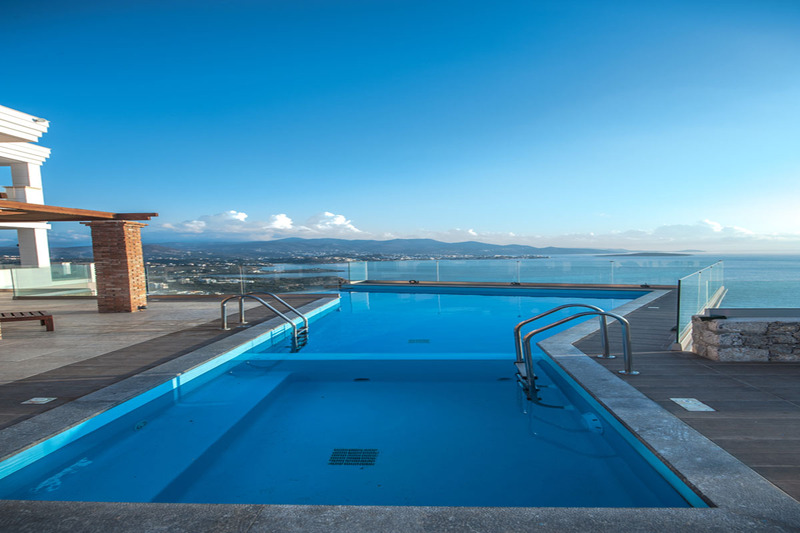 The villa is built on a 4.000sqm plot on a hillside and offers beautiful views of the Mirabello Bay. 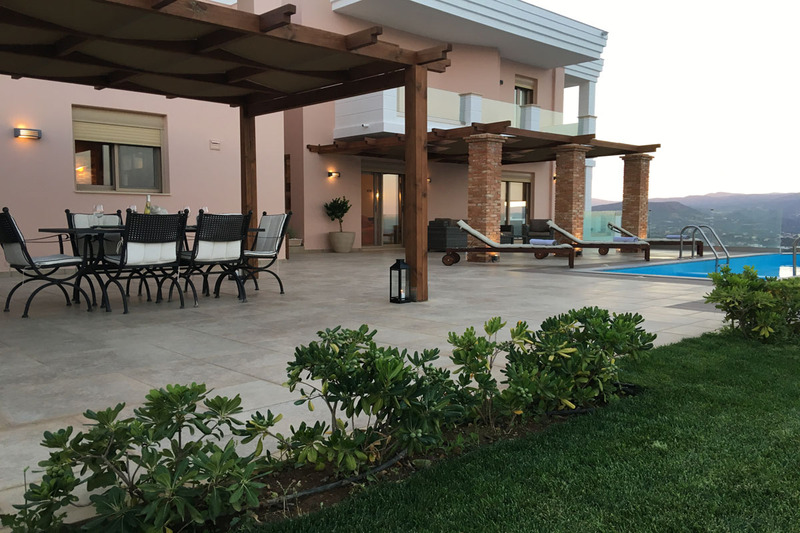 Outside the main living area is a big terrace with a 45sqm pool, modern comfy sun loungers, a shaded dining area and a BBQ. 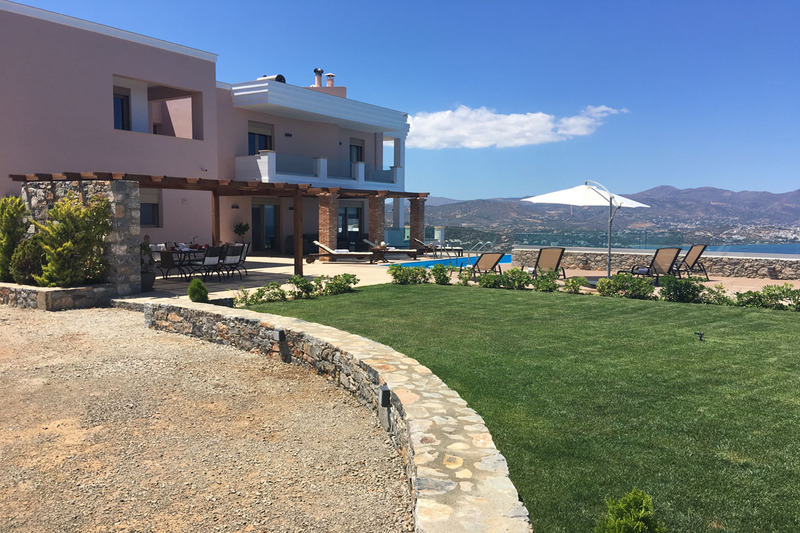 The house is surrounded by gardens with local trees and flowers while the 1st floor has a terrace that overlooks the pool. 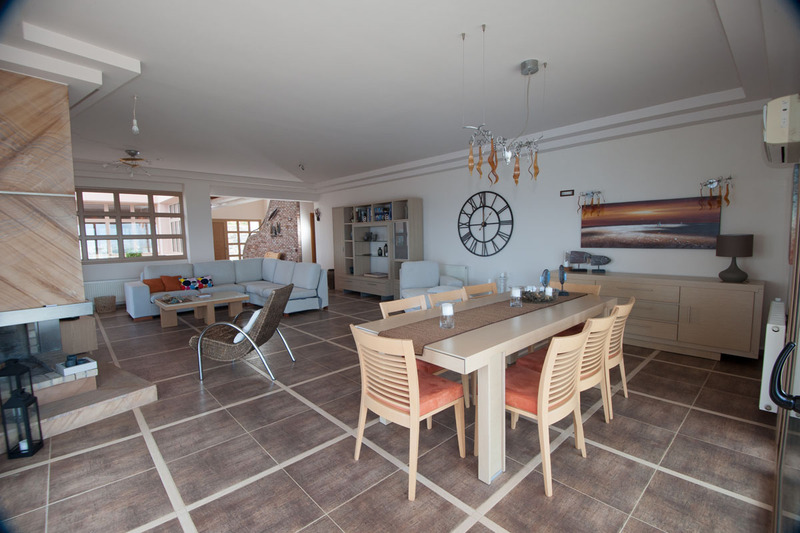 The nearest sandy beach is only 400m away from the house.